Hi there! Jenn here today to share a sweet, simple card creation using the amazing Tutti Designs Dies!! 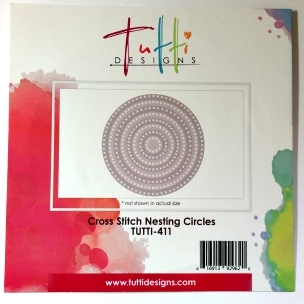 To create this card, cut the quote using one of the cross stitched circle dies. Cut two more circles out of a plain colored and a printed cardstock. Use the next largest circle die each time. Cut the shoe die from a light brown cardstock. I embossed my shoe with an iridescent pink embossing powder to add some sparkle! Gather all of your die cuts and card base for assembly and assemble using a tape runner or other adhesive. 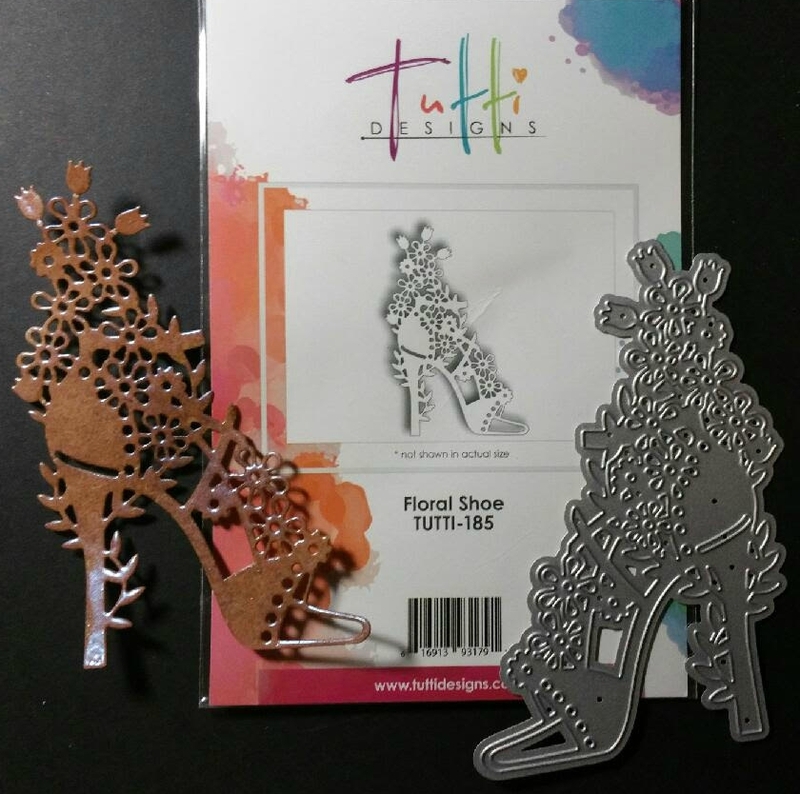 Once your card is assembled add self-adhesive pearls to the flowers on the shoe die cut for a bit more "pretty". To purchase these dies and to see all of the amazing Tutti designs head over to the online store! 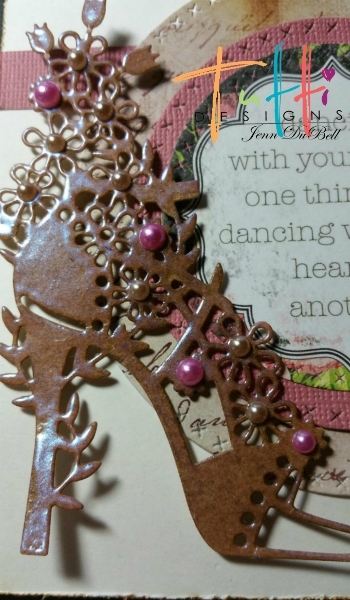 Morning Jean what a gorgeous card and I love your design and the diecuts are great. 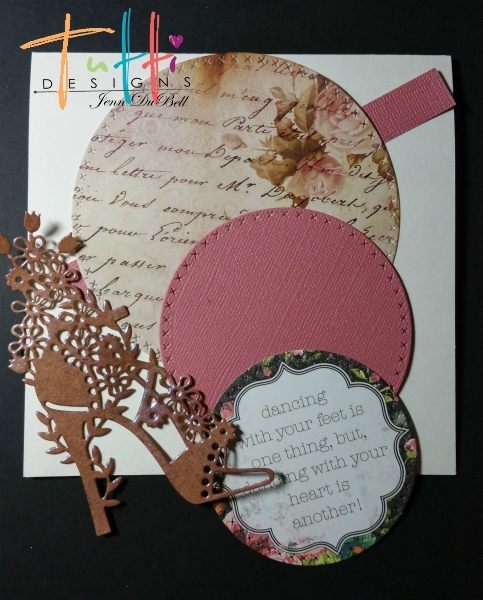 Gorgeous card Jenn, love the vintage feel and fabulous quote! WOW what a beautiful card Jenn! Love your design using the circles and the gorgeous shoe ... gorgeous! 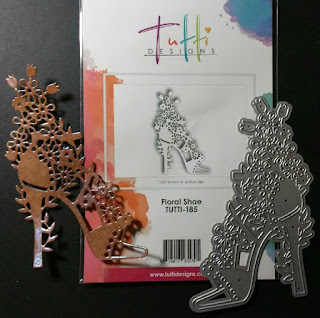 Thanks for wonderful die cutting inspiration! Jenn, this is so beautiful! The embossed shoe is amazing. Very creative inspiration! I Love flowers and this is super pretty, great sentiment as well. Way to go!